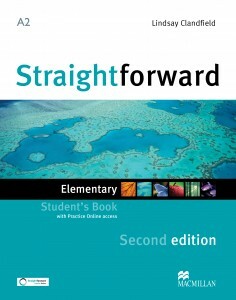 Here is a brief overview of the structure and approach of Straightforward Second Edition. For a more detailed walkthrough of the features of each component, please visit the Features page. relevant communication activities, as well as unit reviews, saving the teacher valuable time. You can find out exactly what is covered at each level by downloading the contents pages. The Straightforward Teacher’s Book is one of the best around. Written by Jim Scrivener, it contains extensive teaching notes and extra tasks and ideas for every lesson plus more detailed notes on the language and cultural content of the Student’s Book material. 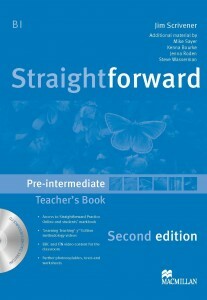 Each Teacher’s Book is accompanied by a Teacher’s Resource Disc in the back of the book, with five short new videos from Jim Scrivener’s Learning Teaching Third Edition that link to the Straightforward Methodology sections above and show experienced teachers demonstrating the techniques. – Suggestions for extra activities for stronger classes, weaker classes and younger classes. 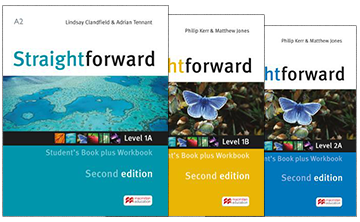 – ‘Straightforward Methodology’ plus video demonstrations to help teachers develop further by expanding their range of teaching activities and techniques. – Supplementary language notes for tricky grammar and vocabulary activities, as well as cultural notes to give vital answers about British and American culture. – Teacher’s Resource Disc includes 48 photocopiable worksheets, unit tests, progress tests, end-of-term and end-of-year tests (with listening). Straightforward Digital allows you to display the Student’s Book pages while also making all of the associated multimedia assets (audio, video, interactive activities) instantly accessible. It features a complete set of tools for working with and creating content in the Teacher’s Area, and is platform independent. This means Straightforward Digital can be used with any make of interactive whiteboard or even with a simple projector and laptop combination. The multiple user option allows the software to be shared on up to 20 computers; the single user option allows the software to be used on two computers. The Workbook provides extra language and vocabulary practice that supports the units of the Student’s Book making it ideal for homework. It comes with the audio CD for all the Workbook listening activities and is available with or without the answer key. Each Workbook comes with a complete short graded reader. 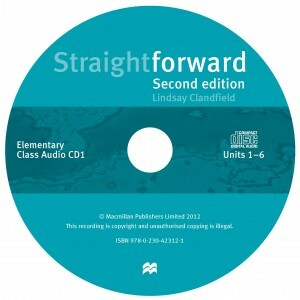 The Class Audio CDs provide the audio material for the Student’s Book listening activities and bring a range of native and non-native accents to the students’ language recognition. This popular course is now available in a convenient split edition format, combining Student’s Book and Workbook for students attending short or intensive courses. The Teacher’s Book is also available in a split version with audio.